London Schools: Why is There a Race for Places? London Schools: Why is There a Race for Places? London Schools: Why is There a Race for Places? London schools are notoriously hard to get into, but new ones are cropping up to supply the demand. Carolyn Parrish, registrar at Fulham Prep, which takes pre-prep entry on a first-come, first-served basis, doesn’t turn a hair. A man is chasing her down the school corridor waving a piece of paper at her. It’s the school registration forms for his baby, born just a few hours earlier. This is London and she knows that parents, desperate to get their children into a limited number of good schools, have to act fast. ‘If you don’t register your children for the prep school, pre-prep school or even nursery that you want them to go to the moment they are born, you are in trouble,’ says Mia Reay, a mother of three children under the age of seven. She is Finnish and was educated at a series of international schools before going to Cambridge University. She is married to an Anglo-Dutchman, a Westminster School and Brown University alumnus, and the family lives in Kensington. London has always been a melting pot of different cultures, but now that parents arrive with the francs, dollars and euros to match their aspirations, the schools are chocka. 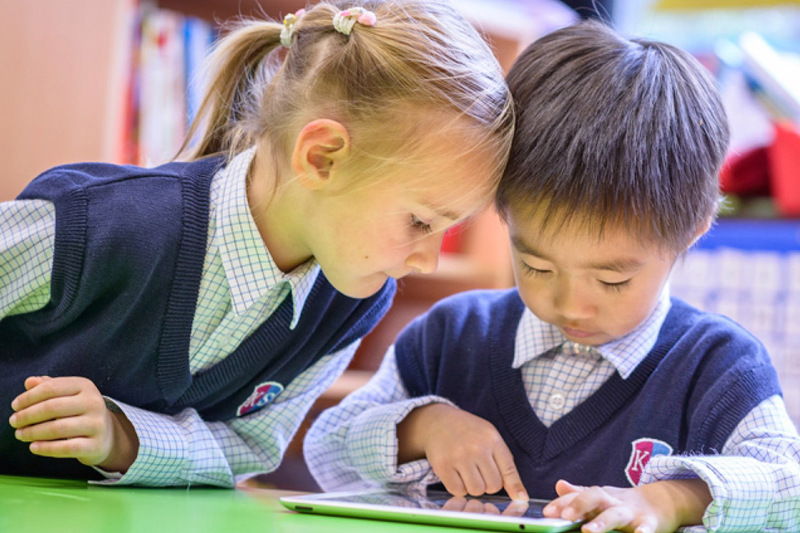 The British private school education sector has an extraordinary international allure. Stories demonstrating the desirability of London schooling are legion. One London parent told me of a Russian child who had been dispatched with the nanny to a Belgravia pre-prep. The parents remain in Russia and the child is miles from its family – a high price to pay for a place on the ladder. How to explain this? There is the cachet of the private school tradition – the great buildings, the ties with the Church, the pomp and the history. Our oldest private schools go back to the sixth century (King’s Canterbury was founded in 597), and in London, St Paul’s Cathedral School has been in existence for 893 years. On top of that, parents who pay for their children to go to an independent school in Britain know they are placing their children in an environment which looks after the whole child in an all-encompassing way. This is rarely available in other countries. Moreover, in this globalised world we now inhabit, the English language is the leading lingua franca. One in four global citizens communicates in English with an estimated 565 million people using the language on the internet. If you can pay for a venerated, sophisticated, nurturing education for your child in one of the world’s great cities, what are you paying for if not the opportunity for your child to become one of the most enabled? London is the home of Westminster School which, along with St Paul’s School for boys and Eton, accounts for more boys’ admissions to Oxford and Cambridge than any other. Pauliners – pupils of St Paul’s Girls’ School – are renowned for their achievements beyond the classroom. Alumnae include Dodie Smith, of I Capture the Castle fame; the composer, Imogen Holst and politician and stateswoman, Shirley Williams, to name a few. From the loins of Dulwich College sprang explorer Ernest Shackleton; Arts and Crafts designer Charles Voysey and visionary and P. G. Wodehouse, creator of the perennially brilliant Jeeves. At 270 years old, James Allen’s Girls’ School (JAGS) is London’s oldest independent girls’ school and can claim credit for the achievements of artist Winifred Knights and writers Anita Brookner and Lisa St Aubin de Teran. 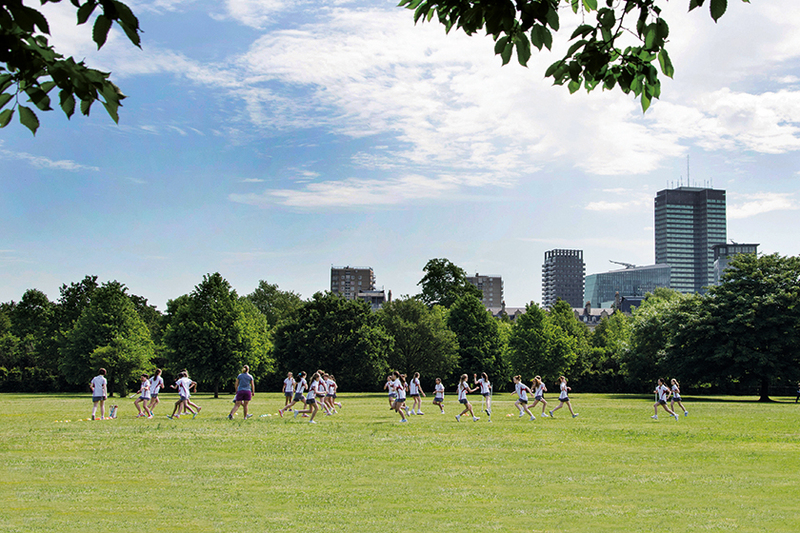 Great private day schools in London include the Hammersmith-based Latymer Upper School, King’s College Wimbledon and North London Collegiate Girls’ School. Feeding these are a host of prestigious and highly rigorous prep schools, from Wetherby and Pembridge Hall – both members of the Alpha Plus Group – through to the six Eaton House group schools, based around Eaton House the Manor in Clapham, to the family-run Thomas’s Schools founded in 1977 by the actress Joanna Thomas and her husband, and now run by their sons Ben and Tobyn. Beyond desirability for overseas parents, the London system is also under pressure for more practical reasons. Head of King’s College Wimbledon, Andrew Halls, says the ratio of applicants to places in the past ten years at his school has doubled from 4:1 to 8:1. Halls also points to a population bulge in the 11 to 12-year-olds group, a demographic fluke of the times. Jennifer McEnhill, head of admissions at Eaton House the Manor, puts the pressure within the London schools scene down to three main factors. But there is another important factor says Sebastian Hepher, headmaster of Eaton Square School, ‘In the 24 years since I have been working as a London head, the horizon has altered dramatically. More are applying, yes. But there is also a far wider incidence of scattergun applications. One child may be put forward for any number of different schools, which puts even more pressure on the application system.’ In other words, while there is more competition, there is also, as Jennifer McEnhill points out, a greater perception of competition. Old-fashioned market economics dictate that when supply cannot meet demand, prices rise. In the schooling context, this is evident. Fees have risen – but that is a fact nationwide, and schools genuinely work to keep them as low as possible. But as well as this is the more concerning academic inflation, as standards rise year upon year in London. This is the price your child has to pay in order to succeed in a crowded market. There are more exams. More pre-tests. Why would you put your child through the 8+ for example when you can have a go at the 7+ and double your chances? Magoo Giles, head of Knightsbridge School, a prep founded in 2006 and already heavily subscribed, is very keen to help the ‘below top ten per cent’ who might not make the most academic schools. This goes hand in hand with his ‘play hard, work hard’ mantra and his desire to create a community school, where all pupils can reach school on foot. Nevertheless, for applicants over nursery age (nursery places are for siblings only), Knightsbridge candidates (along with their parents) are interviewed. Not selective exactly but at the same time, another daunting hoop for a young child to leap through. There are signs that the situation may ease as increased demand is creating supply. New schools are springing up – Notting Hill Prep is about to open a senior school and Fulham Prep opens its senior school in September 2017. Eaton Square is preparing to open a secondary school in Piccadilly, also in 2017. These are just a few of many. Not only that, but when Fulham Prep opens its secondary school, its pupils will not have as many hoops to jump through to gain a secondary place. The opportunity to study at these London schools is also becoming more readily available. At St Paul’s School, for example, the number of bursaries has doubled. ‘In recent years,’ says Zeena Hicks, the school’s head of communications, ‘families who might have sent their children to our school or similar have found the fees make us inaccessible. We wanted to broaden our reach. The uptake has been tremendous.’ In December 2016, a nationwide bursary initiative was announced by the Independent Schools Council. It proposed a scheme jointly funded by schools and the government to create another 10,000 free private school places across the country. To some, this may sound like a scary prospect – a tiger mother’s dream come true. But in a globalised world, perhaps we have been lagging behind? ‘Eight-hundred such Anglo-Chinese immersion schools exist in the United States,’ says de Burgh. And already, he adds, the partnership and the model have had interest within several other European countries. But what if your child is not super academic? What if you, as a parent, cannot face the horror of trailing from school to school, finding doors closing because the inference train has passed you by? Of course, you need not confine your search to inner London. There is an excellent selection of schools within commuting distance. 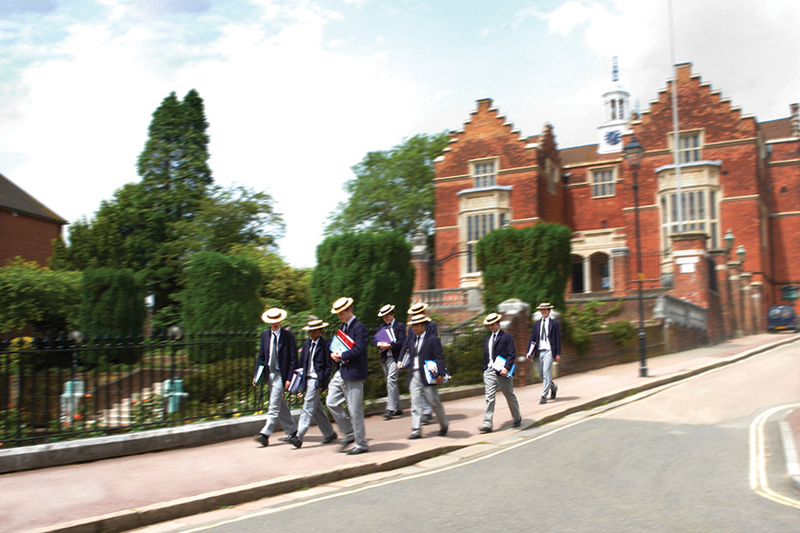 Ludgrove, set in 130 acres of Berkshire, is a top feeder for Eton. 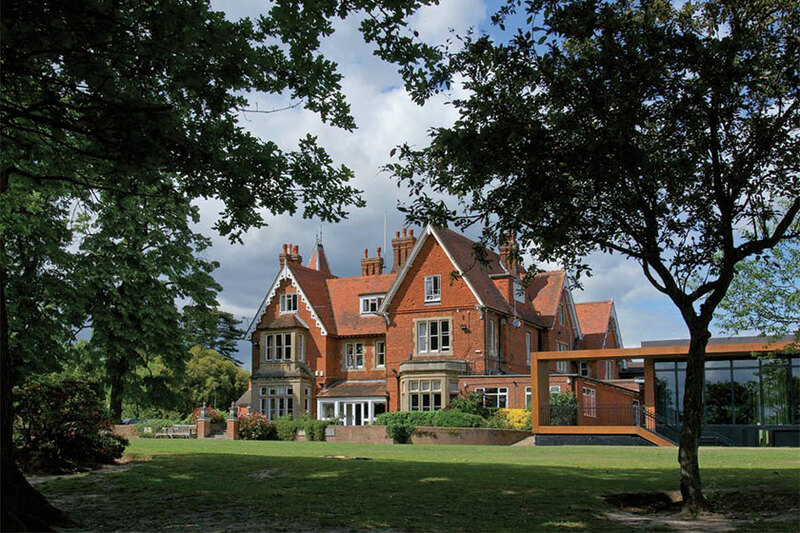 Papplewick and Caldicott likewise are commutable prep schools and have excellent relations with their secondary counterparts. London may be a hothouse but it seems that’s where the tallest flowers grow. On my pilgrimage round the London scene, talking to pupils who went to Westminster for example, I have been nothing less than impressed. These are highly motivated, argumentative, opinionated young individuals. At 18, they have as much to say about Brexit as I do. They are confident, engaged, interested in reading, thinking and debating. Any school of course can bring this out. You would be hard pressed to say that the best teachers are always drawn to working in the capital. But tradition lends authority. So too does an international setting; cultural diversity lends interest. All in all, it may be fairly hellish for the parents who have to dance like butterflies and sting like bees. But if, as Andrew Halls suggests, ‘parents do careful research, do not panic and keep an open mind’, the opportunities are there, with even more London schools in the pipeline. READ MORE: Boarding Schools: Country or Town?